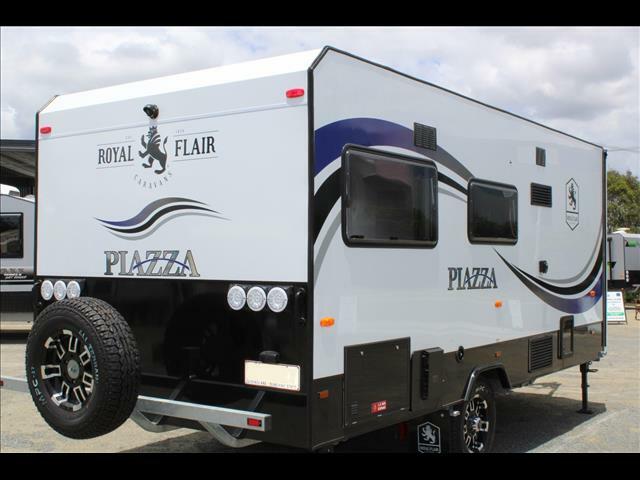 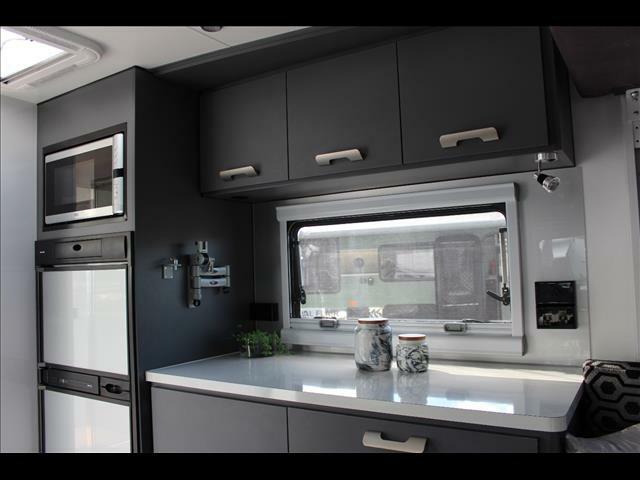 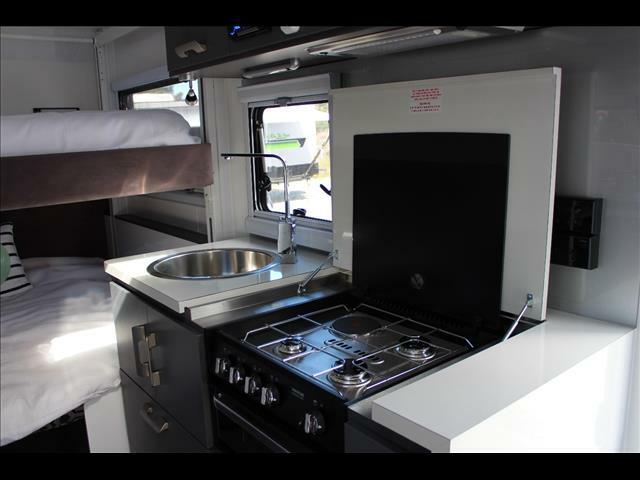 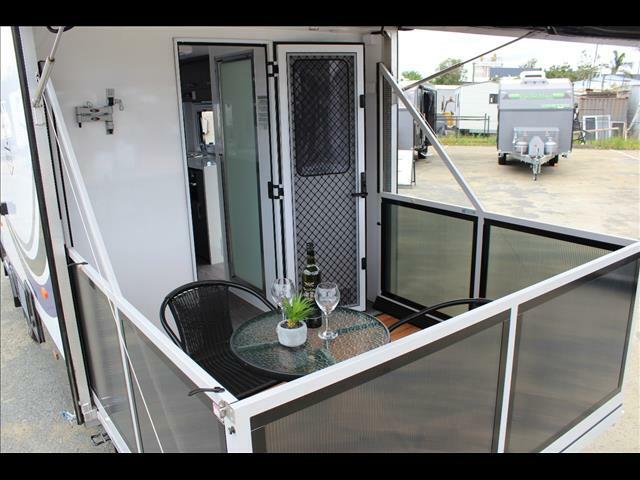 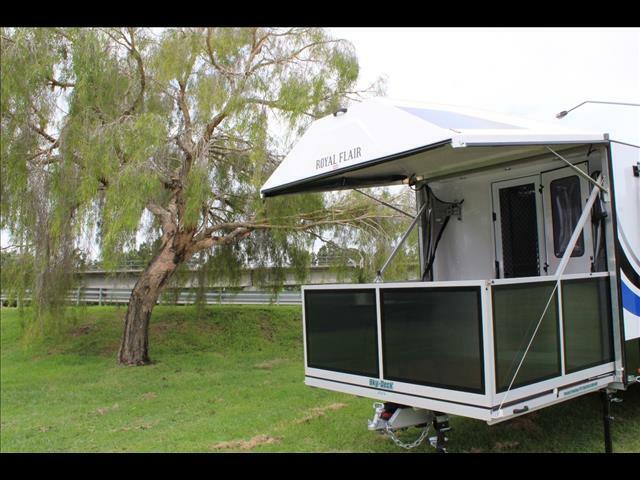 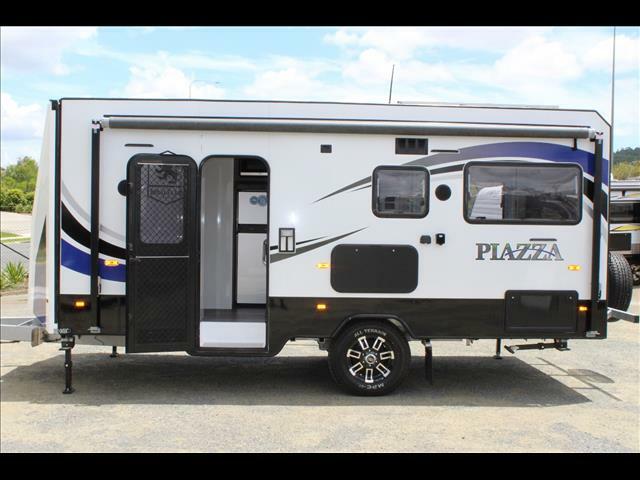 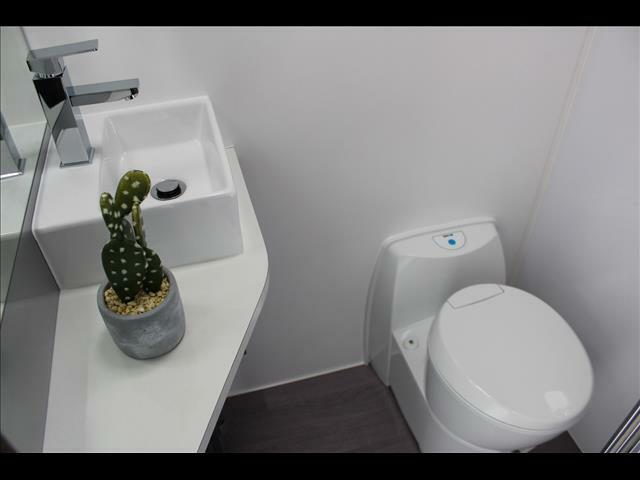 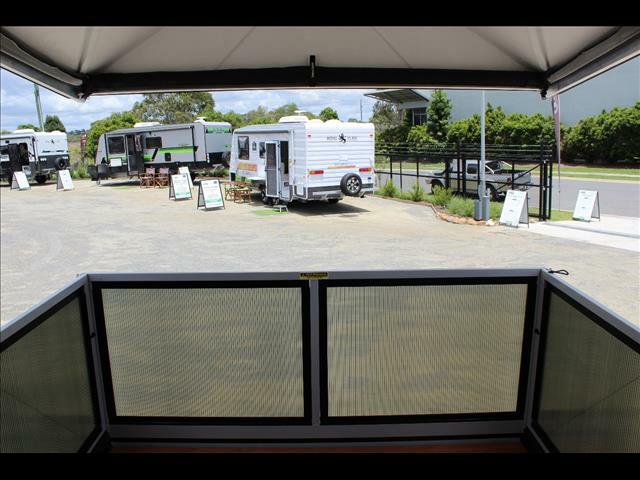 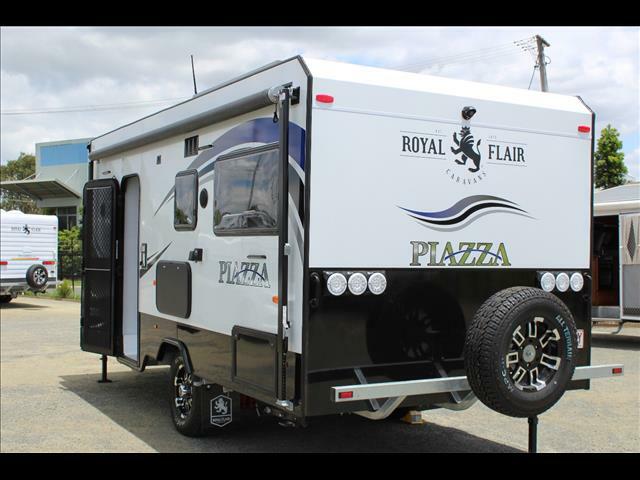 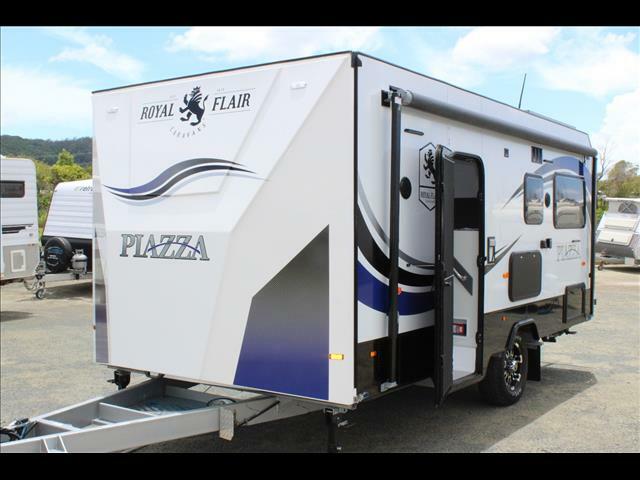 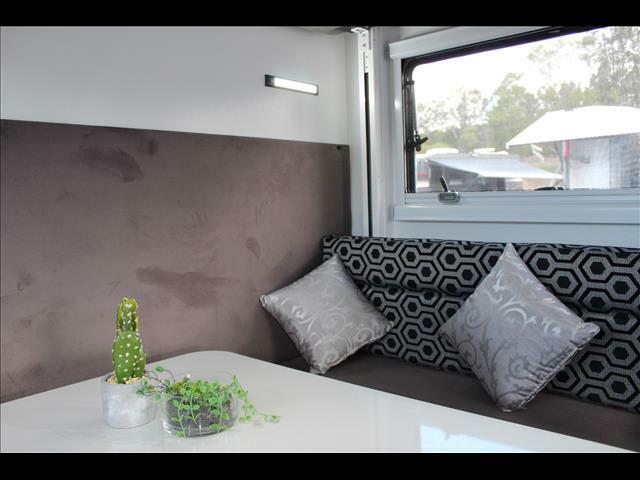 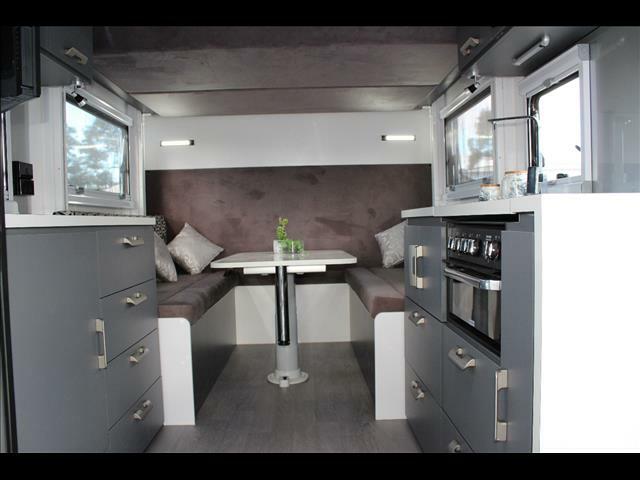 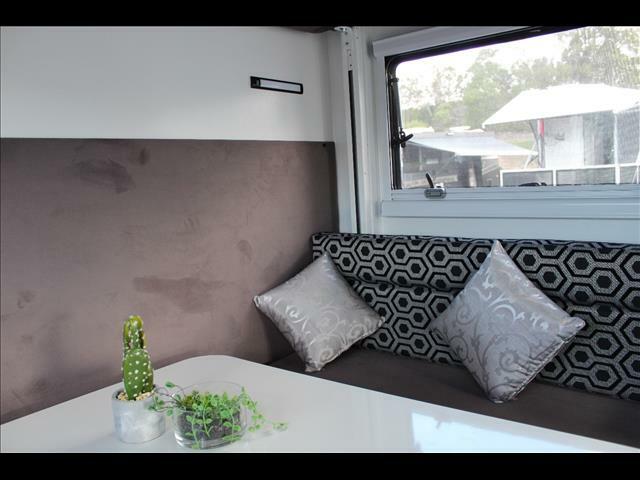 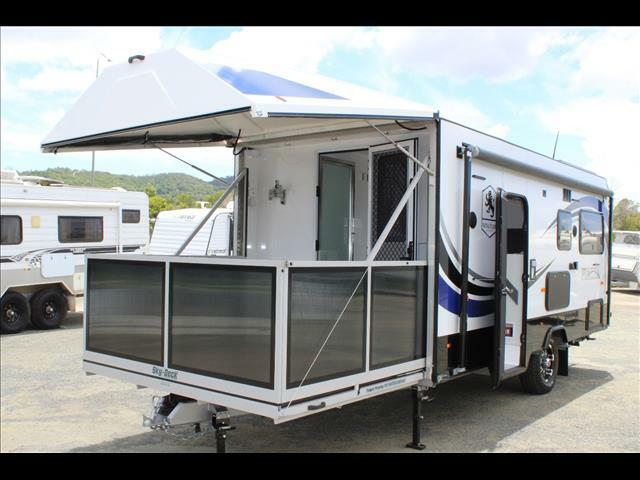 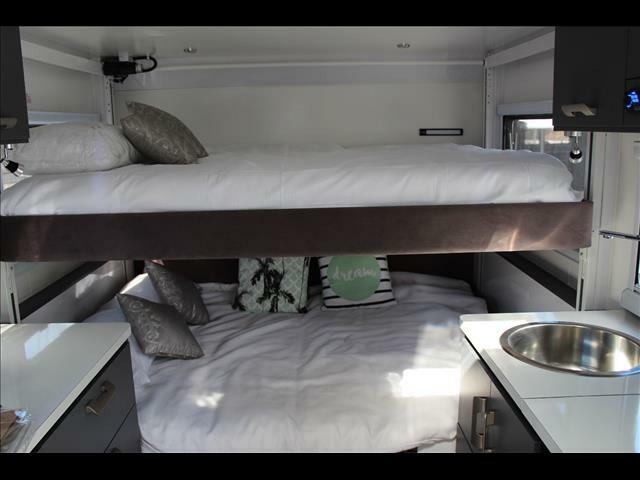 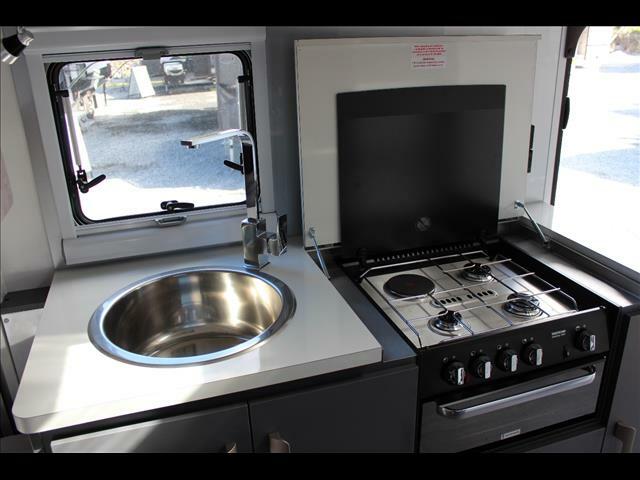 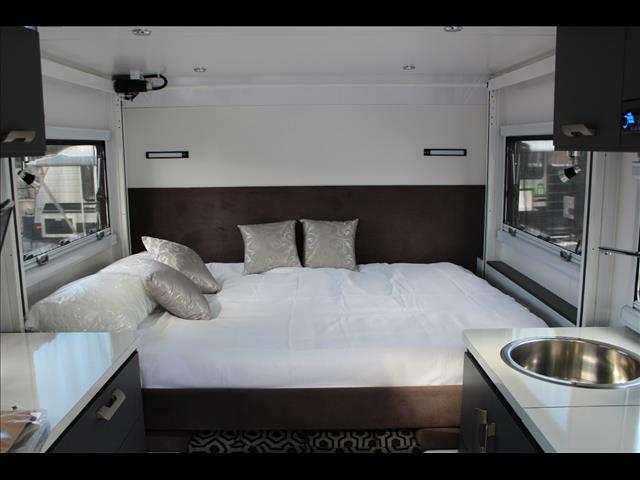 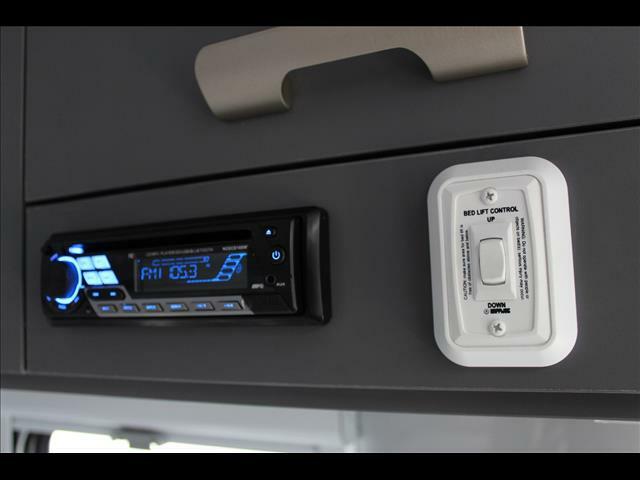 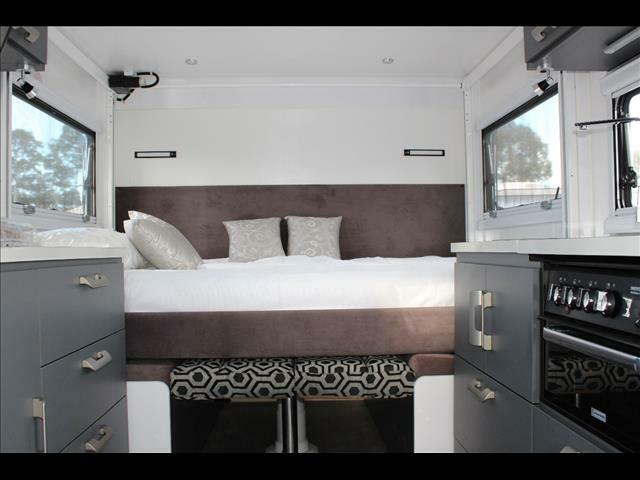 This 2017 Piazza has a queen size RV bed, just like the ones found in motorhomes for over 20 years that lowers from the ceiling to make the most out of the available space. 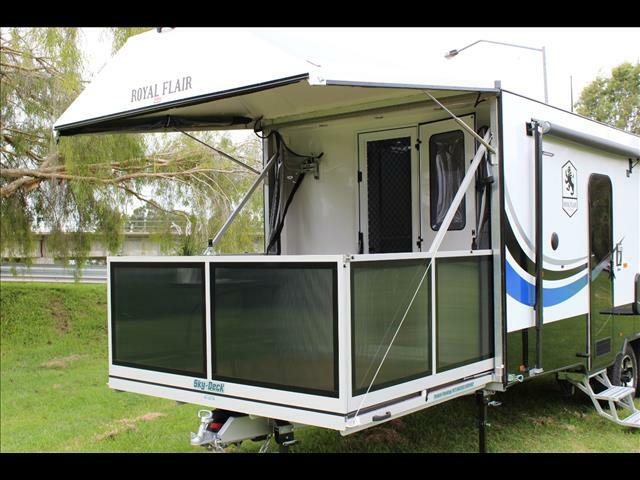 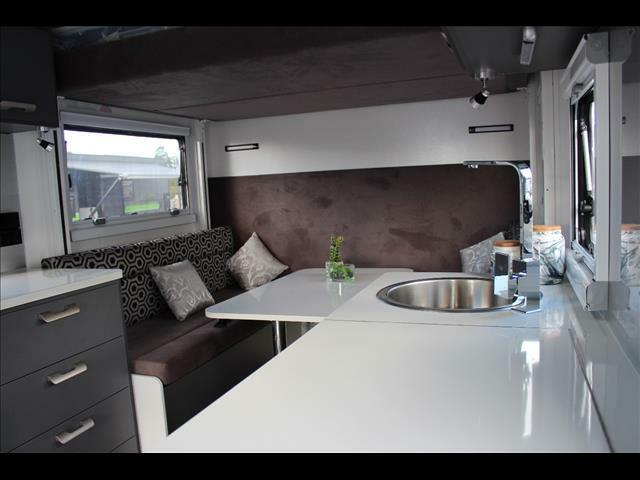 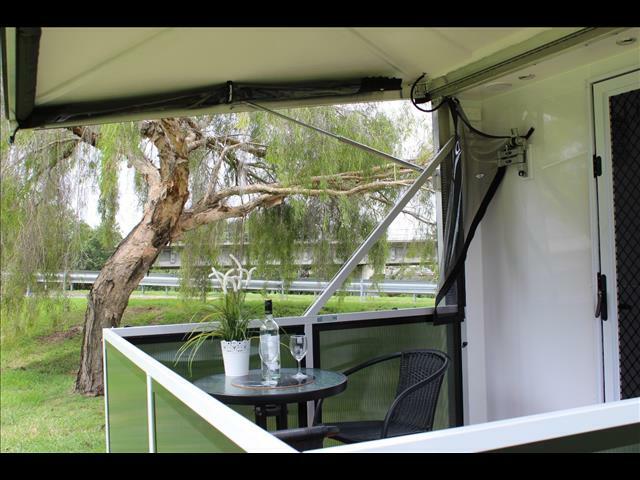 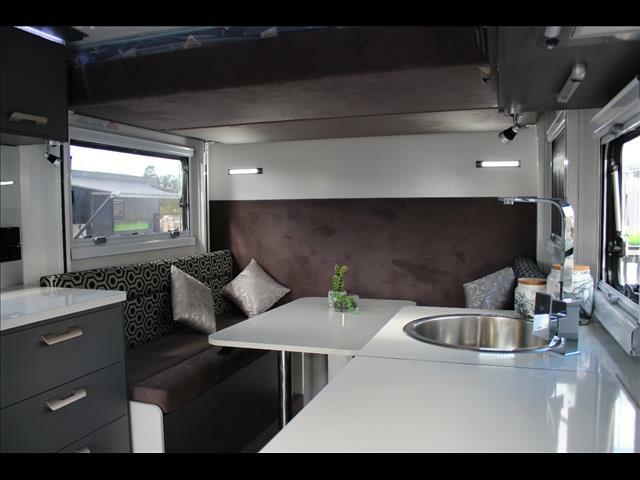 When not in use the bed raises to the ceiling and exposes a massive dining table on an adjustable telescopic leg with seating for upto 8 adults comfortably. 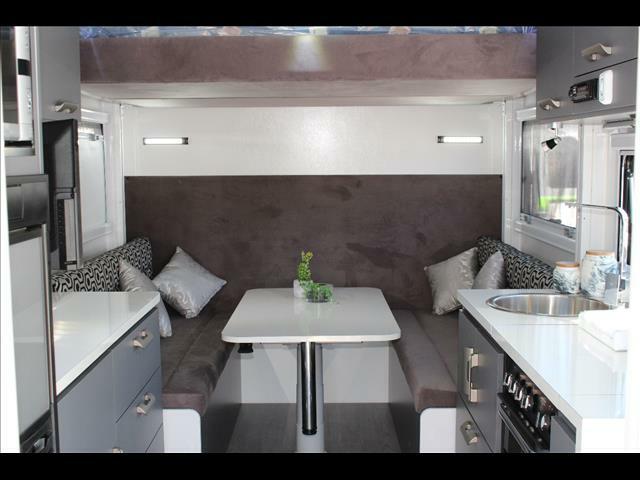 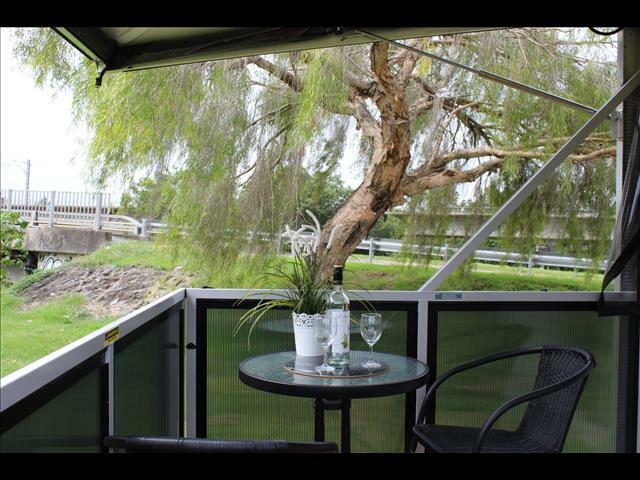 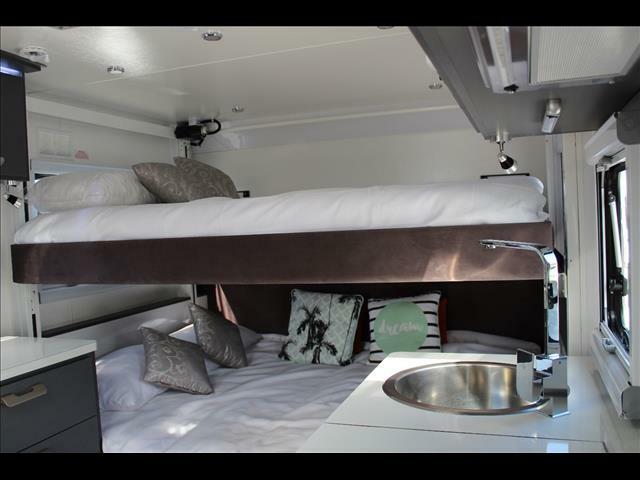 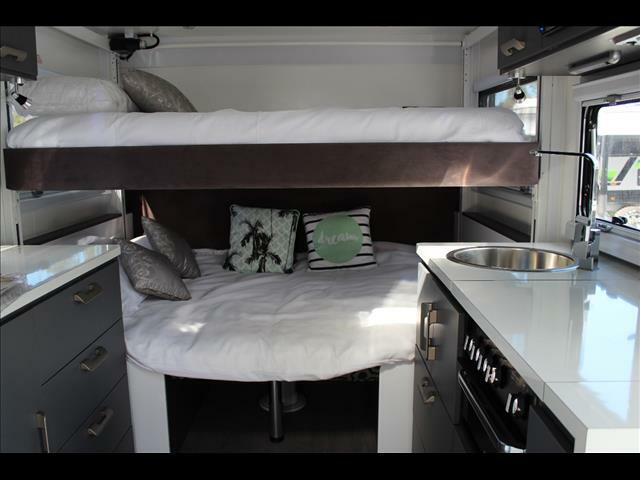 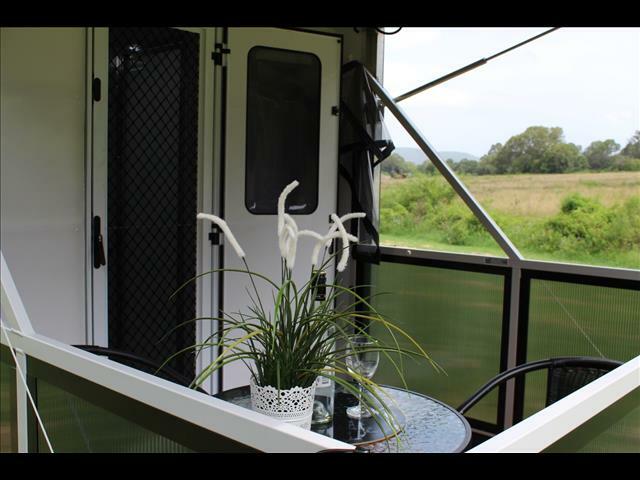 The table also converts to a bed, giving you queen size bunks.